It's more than 20 years since Hong Kong ceased to be a British colony but it still exercises a strong attraction for British investors. Although it has come increasingly under Beijing's control, it retains its status as a link between the world's second largest economy and the rest of the world. Consumerism has come late to China but it has arrived with a vengeance, until recently helping to produce annual economic growth of up to 10%. The slowdown to around 6% is disappointing but such a rate is impressive at a time when global growth has slowed to about half that level and Europe is in danger of tipping into recession. The Hong Kong Stock Exchange is properly regulated, is priced in a stable currency and offers a range of investment choices. It may pay to look now. Although yields can be generally quite low by London standards, the market has picked up nicely so far this year so the best chance to get in is disappearing. Geely Automobile (SEHK:175) is a Hong Kong-based company that makes and sells vehicles in China and various other countries across the globe. The shares peaked at an unrealistic HK$29 at the start of last year before losing over 60% of their value in 12 months in an overcorrection. They have picked up to $17.70 and should be testing HK$20 before long. The yield is admittedly thin at 1.7% but the price/earnings (P/E) multiple is decidedly undemanding at just above 10. Great Wall Motor (SEHK:2333) is a possible alternative. It makes SUVs, sedans and pick-up trucks plus vehicle parts and components. The yield of 3.2% is much more attractive than Geely's and the P/E is slightly better. The shares peaked at HK$27 in May 2015 and only an incurable optimist would hope to see that level again soon. However, at HK$7 now there is surely some upside, with HK$9.50 looking attainable. Insurance has been a great growth area in the Asia-Pacific region, as shareholders in Prudential will testify. The Far East, with its rising middle classes needing, and increasingly able to afford, insurance for life, homes and cars has been the best part of the Pru's global business over the past decade. Ping An Insurance (SEHK:2318) trades at HK$93.35 and looks set to crash through its previous high of HK$96 achieved in January last year. It has had a great start to 2019, after sliding to HK$66.55. Five years ago it was below HK$30. The P/E is an undemanding 13, which is actually similar to Prudential (LSE:PRU), although the yield at a respectable but unexciting 2.1% is not as good as for its London-based rival. Investors who fancy a punt need to act before the share price recovery goes too far. An alternative is China Life Insurance (SEHK:2628), whose shares have been less erratic. The recovery has not been as pronounced as at Ping An so there could be more to come. China Life peaked at HK$38 way back in April 2015 and it has been as low as HK$16 but, like Pin An, it has been on the rise this year, reaching HK$22. It offers a yield of 2.2%. China Resources Pharmaceutical (SEHK:3320) is one of the largest drug distributors to hospitals in China. 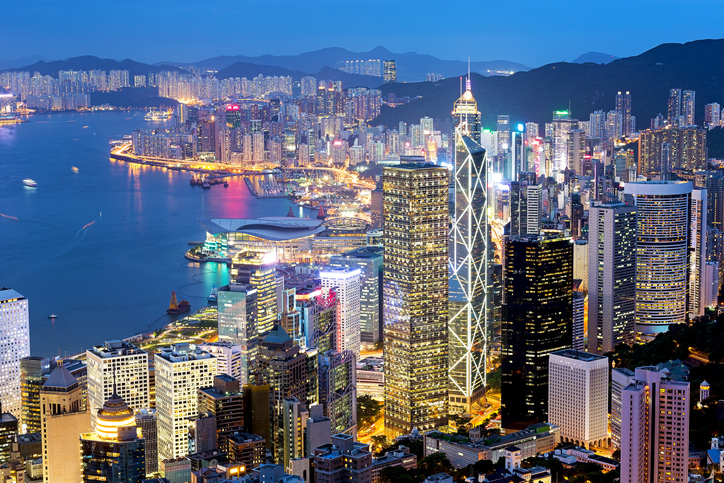 One advantage of being listed in Hong Kong is that it has been able to borrow at favourable interest rates to fund the acquisition of weaker rivals, a policy that is likely to fuel growth for years to come. The shares stand at HK$11, giving a yield of 1% and a P/E of 17. Hobson's choice: I prefer Great Wall to Geely and China Life to Ping An on current valuations. Buy China Resources Pharmaceutical for the long term below HK$12.